The Roswell event occurred near Roswell, New Mexico, in 1947, when a mystery craft crashed on a ranch and debris was recovered. That much at least is true. The official explanation – courtesy of the United States Armed Forces – is the debris was the result of a secret US military Air Force surveillance balloon crashing. We take a fresh look at Roswell in our new release book ANTIGRAVITY PROPULSION: Human or Alien Technologies? In the process, we explore other lesser known theories relating to this intriguing event. Interestingly, the very first official explanation – issued by an Army spokesman – was that the mystery craft was “a flying disc.” That was quickly corrected in an Air Force statement advising that Roswell Army Air Field personnel had recovered a downed weather balloon at the crash site. A recreation of the supposed alien craft at Roswell. However, it’s the unofficial explanations that most interest us. They obviously interest a lot of others, too: the public at large have been intrigued by the enduring theories the incident spawned – the most prominent being that the mystery craft was in fact a spaceship and that it contained extraterrestrial life. A 1995 feature-length doco titled The Roswell Incident provides a compelling overview of the event, inclusive of very persuasive eye-witness accounts. At the time of writing, it’s accessible via Top Documentary Films’ website. “In the summer of 1947, there were a number of UFO sightings in the United States. 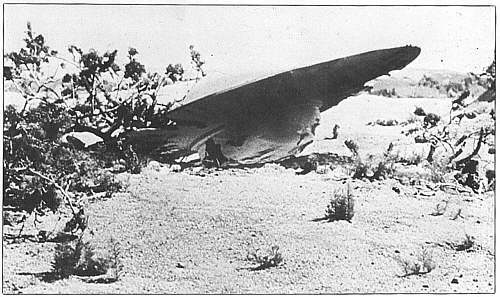 Sometime during the first week of July 1947, something crashed near Roswell. The doco reports the crash site was quickly sealed off by the military, but not before the discovery of four alien bodies outside a damaged spacecraft – at a second crash site – that was largely intact. Sounds far-fetched? Many think so. Even a few high profile UFO commentators dismiss the Roswell-related alien body claims as implausible. Then again, it’s one of the oldest conspiracy theories around and it shows no sign of going away any time soon. One reason for this could be the eyewitnesses who claim, or claimed, to have observed the aftermath of the crash are in the main very credible and convincing. “For some years I have had good reason to believe that world governments, headed by the Americans, not only have contact with alien races, but have reciprocal agreements with them, allowing certain species to come and go around our planet without hindrance.” –Tony Dodd. Former British police officer. In fairness, it should be noted there are other conspiracy theories about the Roswell incident that have nothing whatsoever to do with aliens. One involves Japan and the aftermath of World War Two. This version of Roswell, which apparently had many credible witnesses as well, insists that US military personnel did indeed find a crashed UFO with survivors aboard. However, the crucial difference compared to other Roswell reports is that military personnel claimed the survivors were not extraterrestrials but Japanese people. The suggestion is the Japanese had access to their own antigravity propulsion technology – either manmade or extraterrestrial in origin – and they were planning to attack the US using advanced flying craft to avenge the atomic destruction of Hiroshima and Nagasaki in 1945. Whether this story was a result of post war propaganda or paranoia on behalf of US military personnel, or whether the Japanese really did have antigravity propulsion systems of their own and were looking to exact justice, is anybody’s guess. Many who believe the Roswell crash survivors were Japanese and not extraterrestrials claim the popular ET conspiracy theories were purposefully leaked to journalists by the US Government. The aim, they say, was to conceal the Japanese attack and, more importantly, their exotic technologies, which the military felt needed to be kept hidden from the American public. Several UFO researchers and independent Roswell investigators have written about these counter theories involving Japan and believe them to be true, or at least treat them very seriously. 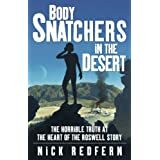 For example, the 2005 book Body Snatchers in the Desert: The Horrible Truth at the Heart of the Roswell Story, by Nick Redfern, emphatically states there were never any dead alien bodies. Author insists no alien bodies. The book contains quotes from various government insiders including one female whistleblower known only as the Black Widow who apparently worked at the Oak Ridge National Laboratory, a classified military facility in Tennessee, from the mid-1940’s until the early 1950’s. She claims to have seen the deformed bodies of human subjects and categorically stated they were all Japanese and that none were alien beings. Author Nick Redfern also writes about several other whistleblowers in his book. They include: an individual named Levine who worked for the British Government’s Home Office and confirmed the stories of alien bodies were totally false; another Oak Ridge insider who claimed the recovered bodies were of Asian origins; a former DIA agent known as the Colonel who claimed to have knowledge of the experimental flying machines in New Mexico at the time and also said that one of his jobs at the DIA was to send out “false UFO stories to the Russians, to the Communists” and also distribute false “sightings of flying saucer landings at military facilities, stories that we had crashed UFOs and bodies of space aliens”. Redfern, a Brit living in Texas and a best-selling author and journalist, is probably one of the more savvy researchers to investigate the Roswell incident. In forming his hypothesis about the 1947 incident while writing Body Snatchers in the Desert, he accessed thousands of US Government archive documents as well gaining direct access to insiders in British intelligence. Therefore, his non-extraterrestrial explanation for Roswell cannot be easily dismissed. Could it really be that most UFO investigators are deceived in their notions about Roswell? Or were alien bodies really found at the mysterious crash site as per the more popular conspiracy theory? Almost 70 years after the Roswell incident, the public and most independent investigators generally seem to be none the wiser. One thing’s for sure, no smoking gun has been found and hard evidence to support the presence of either alien, Japanese or other human bodies is lacking. Much like the JFK assassination, there are now so many theories and counter theories floating around about Roswell that the truth may never be known. 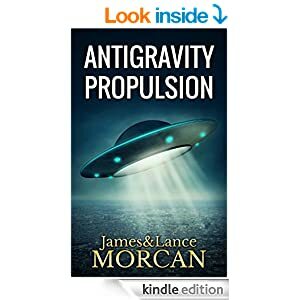 To view the discussion thread on antigravity propulsion (the phenomenon) in our ‘Underground Knowledge’ group on Goodreads check out: https://www.goodreads.com/group/show/142309-29-conspiracy-theories—a-discussion-group >>> Everyone’s welcome!